Now that Force Friday is finally here, LucasFilm has announced details for the highly-anticipated Star Wars: The Force Awakens soundtrack. Five-time Academy Award-winning composer John Williams has recorded the score, which contains all-new music and some familiar themes. The soundtrack is available now for pre-order at DisneyMusicEmporium.com. Lucasfilm and visionary director J.J. Abrams join forces to take you back again to a galaxy far, far away as Star Wars returns to the big screen with Star Wars: The Force Awakens. 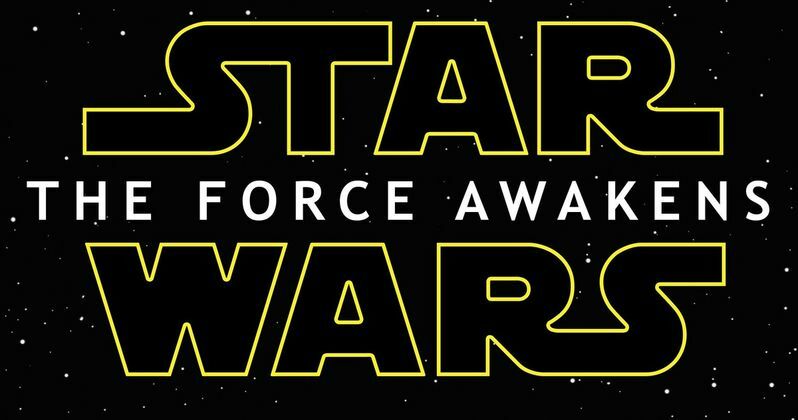 Star Wars: The Force Awakens releases in U.S theaters on December 18, 2015. The soundtrack will be available wherever music is sold on December 18, 2015. It isn't known if any song details or track titles will be released between now and then. Star Wars: The Force Awakens is set 30 years after the events of Star Wars: Episode VI - Return of the Jedi, and features a new generation of swashbuckling heroes and shadowy villains, as well as the return of fan-favorite smugglers, princesses, and Jedi. Original franchise stars Harrison Ford (Han Solo, Carrie Fisher (Princess Leia), Mark Hamill (Luke Skywalker), Anthony Daniels (C-3PO), Peter Mayhew (Chewbacca) and Kenny Baker (R2-D2) reprise their roles from the original trilogy. New cast members include John Boyega, Daisy Ridley, Adam Driver, Oscar Isaac, Andy Serkis, Domhnall Gleeson, Max von Sydow, Lupita Nyong'o, Gwendoline Christie, Crystal Clarke, Pip Anderson, Christina Chong and Miltos Yerolemou. J.J. Abrams directs from a screenplay he co-wrote with Lawrence Kasdan. LucasFilm President Kathleen Kennedy serves as producer. For more information on Star Wars: The Force Awakens, please visit TheForceAwakens.com. For more information on Walt Disney Records' releases, like them on Facebook.com/disneymusic or follow them at Twitter.com/disneymusic. Are you looking forward to this highly-anticipated soundtrack's release? We sure are.